Is a trip to Napa Valley on your bucket list? Are you drawn to the idea of touring the rolling hills of the wine country and visiting several family-owned vineyards? The good news is that you don’t have to go to California to get an authentic family-operated vineyard experience. 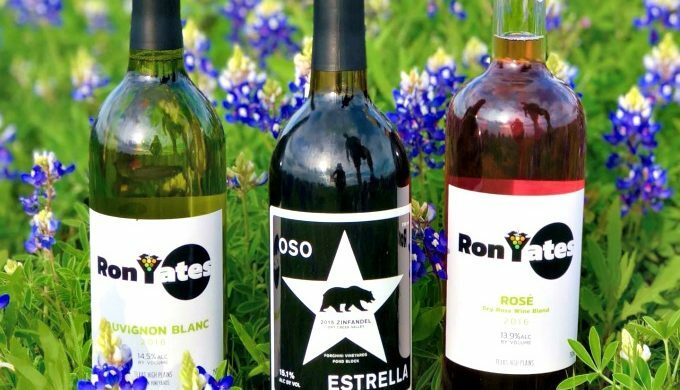 In fact, there are several family-owned wineries and vineyards in the Texas Hill Country that offer all the charm of the California wine region with the convenience of being located right here in the heart of Texas. The 30-mile stretch of US Highway 290 between Johnson City and Fredericksburg is known as Wine Road 290. 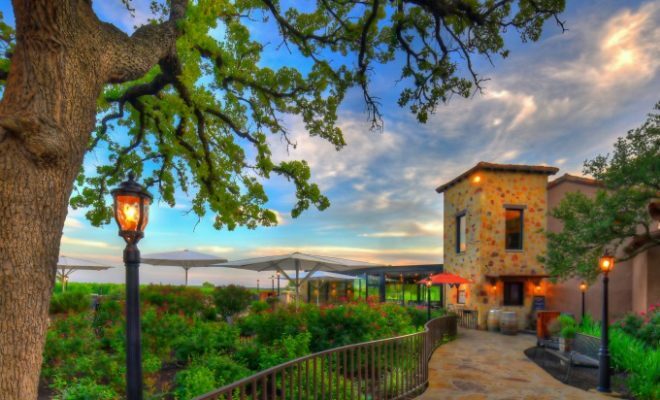 It’s the heart of the Texas Hill Country wine region, an area so highly regarded for wine appreciation it’s now second only to Napa for visitation. With more small tasting rooms popping up every year, a few working wineries and vineyards stand out among the proliferation of choices. 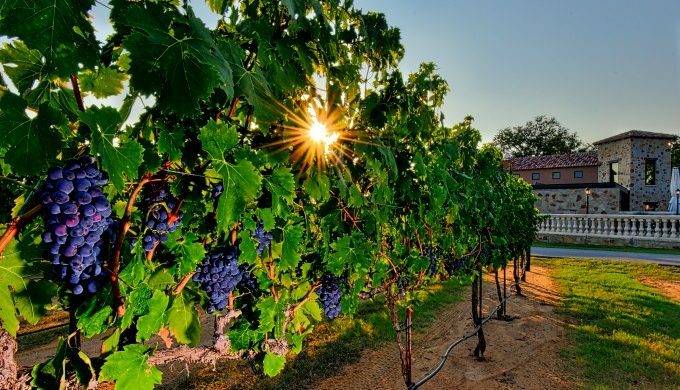 Here are three vineyards and wineries, all located in the Fredericksburg area, that offer class, history, and heritage–all within an easy and scenic drive from most parts of Texas. A must stop! Established as the first winery on WR290 in the mid-1980s, Grape Creek Vineyards is owned by the Heath family, who bought the property in 2006. A working winery in every sense of the term, Grape Creek’s gorgeous estate vineyards are a jewel in the Hill Country, with 18 acres under vine at the site on Highway 290. Hugely successful as a wine-club winery, Grape Creek caters to wine lovers who want the full experience of a working estate vineyard and winery, including tours of state-of-the-art tank rooms and wine tasting from barrels. Private guided tastings are also available to evaluate the wonderful gamut of Grape Creek wines, garnering over 40 gold and double-gold medals in the last year alone. The immaculately landscaped grounds, views of the Montepulciano estate vineyard from the pavilion and fountain terraces, and the terrific chef-inspired restaurant, The Trattoria at Grape Creek, round out the experience. It’s no wonder that new visitors make reservations to visit the winery, taste the wine, take a tour, and decide to join the club to experience a top family-owned working winery in the Hill Country. If history and a strong family legacy interest you then 1851 Vineyards, located in Fredericksburg, should be your first stop on a hill country wine tour. 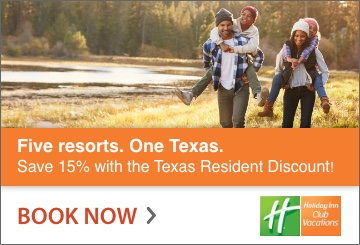 The vineyard sits on property that was home to the original Pioneer Flour Mill (circa 1851) and still features several Texas Historical Landmarks such as the original smokehouse, barn, and houses. Van Chester and Peggye Pagel Brown purchased the property in the 1960s when Mrs. Brown first became interested in wine production. It was then that the first wine was crafted on this property. Now, 50 years later, the vineyard remains in the hands of the family, where the first vines for mass wine production were planted in 2013. With each passing year, more vines are added. 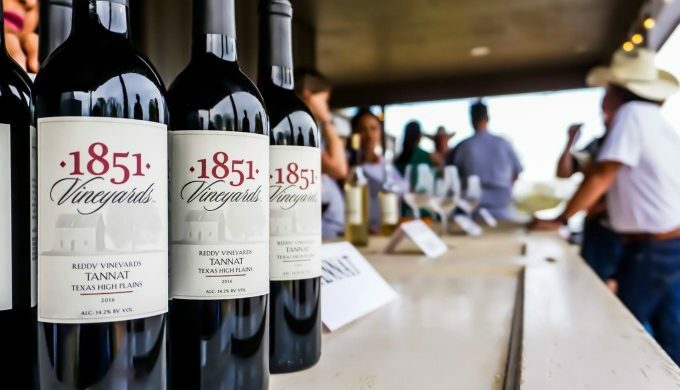 Visit 1851 Vineyards for a tasting of their wines or for one of the vineyard’s comprehensive tours of their production sites as well as the historic grounds. While you’re there, soak up the atmosphere of a piece of Texas history and enjoy a truly Texan take on winemaking.